Google constantly makes changes to the way it displays websites on the front page of Google and you can follow the latest news and updates here. The question ‘How do I make my site appear first in Google Search Results’ is very broad and the truth is there’s no secret to it. You just have to follow best practises in order to optimise and improve your Google Rank. Here’s 5 essential steps you should follow to increase your chances of appearing at the top. You may not have heard, but Google has made important security changes (effective 3rd October 2017) which will have affected ALL websites that use forms to collect customer data or forms for customers to contact you directly. Tweet this! Not only will something like this pop up appear on your website, but Google will also penalise your search rankings if your site doesn’t use a secure connection (HTTPS) which could have a knock on effect to your website traffic and online sales. Content is king. Of Course for this to be true, your site will need to have quality content that is engaging and informative. Google looks for quality and targeted content for its users and using long-tail keywords (keywords that consist of 3 or more words) will ensure your content is easily found. Make sure to track your CTR (click-through rates) and search results to monitor how well your keywords are performing and if you’re actually receiving any visits. The more high quality content you produce and distribute across different channels, the higher chances you have to be ranked near the top of Google. Are you searching for website fixes to rank higher on Google? Download our guide today for top 10 quick solutions! Google has started to favour mobile over desktop since mobile devices now dominate total minutes spent online globally! It’s essential to have a good user experience across all screen-sizes if you want to not only rank higher on Google but also improve user engagement. 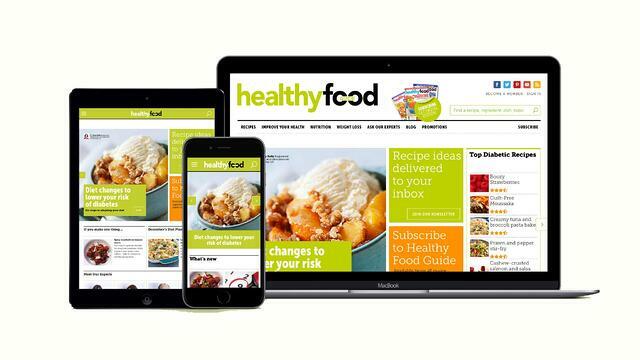 Find out how Healthy Food Guide (a food market leader) was able to increase their traffic by 250% in the first 6 months of their responsive website launch. Accurate titles and meta tag descriptions allow Google to understand the purpose of your page. If your site is currently built with Wordpress, you should use a free plugin called Yoast, which displays preview snippets for you to check how your page will look on Google. It also provides recommendations on what to improve and whether your title and description is too long or too short. Making this section keyword rich will also boost your Google Rank, so make sure you do this. Over the years Google has created a number of guidelines to prevent “black hat SEO” that can really impact your search results in a negative way. Not sure what they are? Check Moz Google Algorithm change history here. To prevent this from happening follow all Google’s latest releases to avoid any pitfalls that could negatively impact your rank. Are you searching for quick website fixes to increase your Google rank?